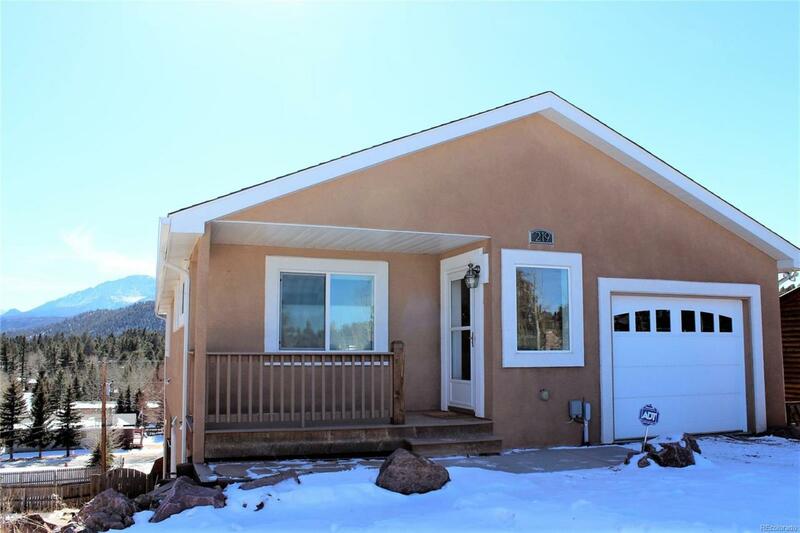 Impeccable home with a fabulous Pikes Peak view! Built in 2010, this house has beautiful hardwood floors, granite counters, Hunter Douglas window coverings, solar tube lighting, wood front door with speak-easy window, and several other upgrades that make for an inviting interior home space. The main level features an open-space concept with kitchen, living room, and dining area. The spacious kitchen is well-lit and includes a breakfast bar. All appliances stay, including washer/dryer and central vacuum system. The home's exterior was planned for ease of maintenance, featuring a stucco exterior, composite decks, flagstone walkways, and upgraded 50 year roof (just installed in 2016!) The yard is nicely landscaped and fenced, great for your pets. There are 2 levels of gorgeous decks, one is covered. With the stunning view of Pike's Peak, entertaining will be a breeze! No details were missed with this well constructed home. If you love sunshine and views, this home should be yours!